Featuring bi-directional serial or infra-red ports, input detection ports, output ports for relay control, USB configuration, and low voltage power making them the most powerful devices available in their class. 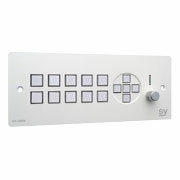 The SY Device Suite software provides a powerful yet easy-to-use tool for configuring the SY-KP Series Controllers to respond just the way you want. 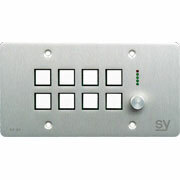 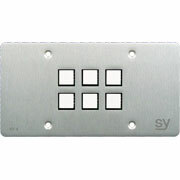 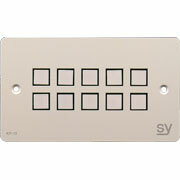 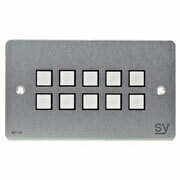 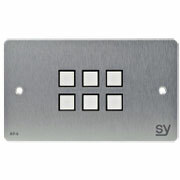 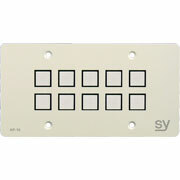 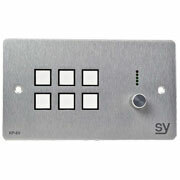 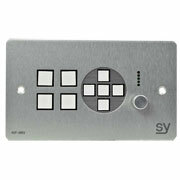 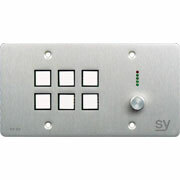 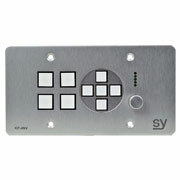 Each button on the SY Keypad Controllers features a Blue LEDs and allow feedback or state to be programmed or change on receipt of information back from the bi-directional serial ports. 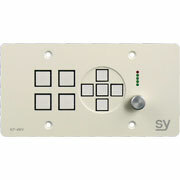 For the user each button can be programmed to perform multiple functions and is the ideal solution to replace multiple handsets whilst providing a permanent location for the point of control, saving lost or misplaced handsets and there’s no more running out of batteries just when you need the system to work. 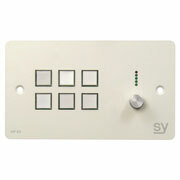 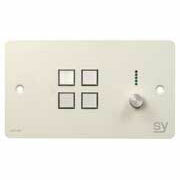 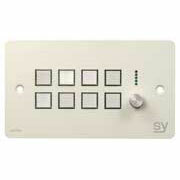 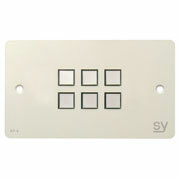 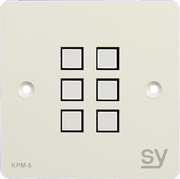 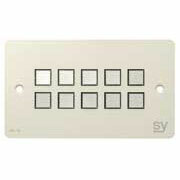 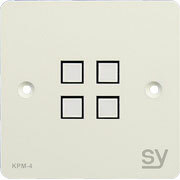 The SY Keypad Controllers also fit in standard UK and European size back boxes and are supplied in a modern smooth matt white finish that is resistant to finger marks yet easily wiped clean. 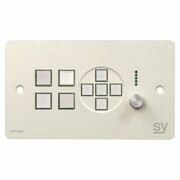 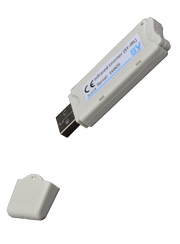 The SY-IRL is an Infra-Red Learner for use with SY Device Suite software to learn infra-red controls via USB port. 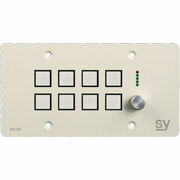 The RC1 is a compact controller with Ethernet and can be used as a stand-alone control system or as an expander to provide remote or extra connectivity for Keypads. 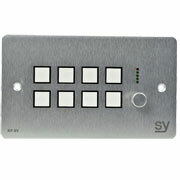 Intuitively programmed through SY Device Suite, it takes minutes to configure a complete system and offer all the functionality, plus more, of a Keypad but without the buttons. The SY-RB6 provides RS232 control over the 6 low voltage relays. 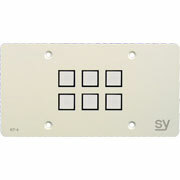 With connections for RS232 and Normally Open, Normally Closed and Common, the RB6 is the ideal choice to interface with other systems requiring a switch or contact closure. 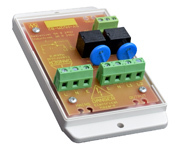 The RB6 is not suitable for use with power connected to the relays above 30V. 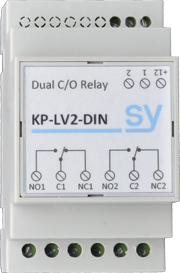 The SY-KP-LVC-DIN provides two independently controllable change over relay contacts that can switch up to 12V DC at 20A max. 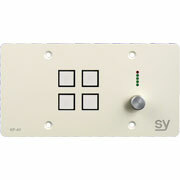 The SY-HV2-DIN dual high voltage relay controllable from KP series output ports. 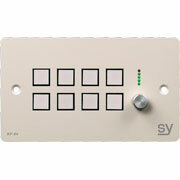 Provides simultaneous or independent control of common mans power via 2 relays. 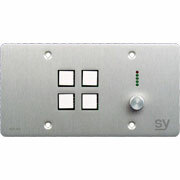 The SY-HV2M-B2 is a dual high voltage motor drive relay controllable from KP series output ports. 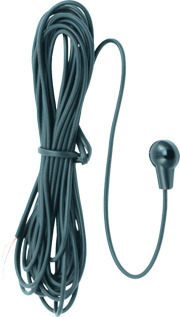 Suitable for direct control of projection screens, hoist, shades etc. 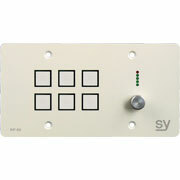 Provides protection against live outputs being switched on simultaneously. 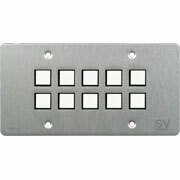 Comes in an ABS Screw Mountable Box.